Osaka Temmangu Shrine. The 10th century scholar and warrior Sugawara no Michizane is enshrined here. Every July, the Shinto shrine hosts the Tenjin Matsuri, Osaka’s best know festival. 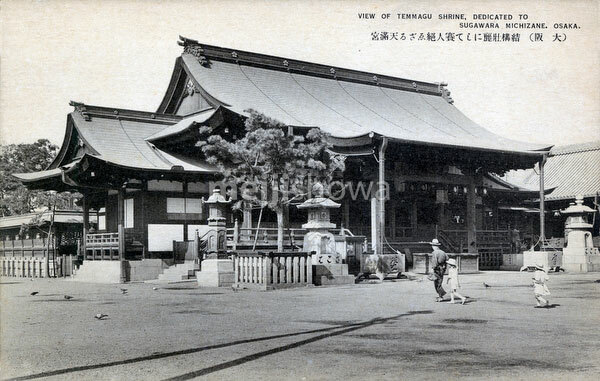 The original shrine hall was constructed in 949; the one in this image dates from 1845.